Reduced price benefits reserved only for customers who sign our exclusivity agreement! What is a Concrete Pumper? Big Daddy Pumps, LLC provides line concrete pumping services to Yuma, Arizona and the surrounding region, using our new (2016) REED A40HP pump. Most construction projects require concrete. The problem is those concrete mixing trucks are often too large and the job site too small to maneuver the truck into a position where it can effectively pour the concrete where it’s needed. One solution is an ordinary concrete pump. The better solution is Big Daddy Pumps, LLC. Established in 2016, Big Daddy Pumps, LLC, provides on-time, professional, line concrete pumping to serve the growth of our community and the region. We offer competitive pricing and planning tools to improve your business. The REED A40HP pump is the premium pump in its class, built with the same leading edge engineering as REED's top-of-the line pumps. The REED A40HP is powered by an 82 HP continuous duty diesel engine. It can be used to pump rough concrete mixes as well as shotcrete and is particularly suited for higher pressure applications. Hose: 200 feet, both 2" and 3"
Big Daddy Pumps, LLC, has a simple rate plan that is void of any hidden or add-on fees. You simply pay a setup fee and a price per yard of concrete pumped. Some jobs that require travel may incur a $50.00 travel fee. That's it! No extras, no hidden fees. 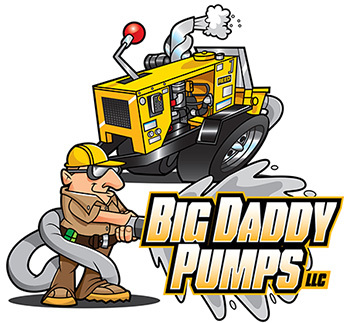 Special pricing is offered to customers who engage in an exclusive contract with Big Daddy Pumps. Use the scheduling tool below to reserve Big Daddy Pumps for your next project.